Running a contemporary dance company is not for the faint of heart. Just ask Whim W’Him founder and Artistic Director Olivier Wevers. The former Pacific Northwest Ballet principal dancer knew it would be a lot of work to have his own company. He resisted his friends’ lobbying for several years before making the transition from performer to choreographer/administrator. Six years after Whim W’Him’s debut, Wevers’ ruefully confesses he really had no idea what he was in for: choreography, along with everything from schmoozing with potential donors to designing costumes, to shopping for socks. These days Wevers runs his seven-member troupe with Executive Director Catherine Bombico at his side. Last year, for the first time, they were able to offer the dancers season contracts. 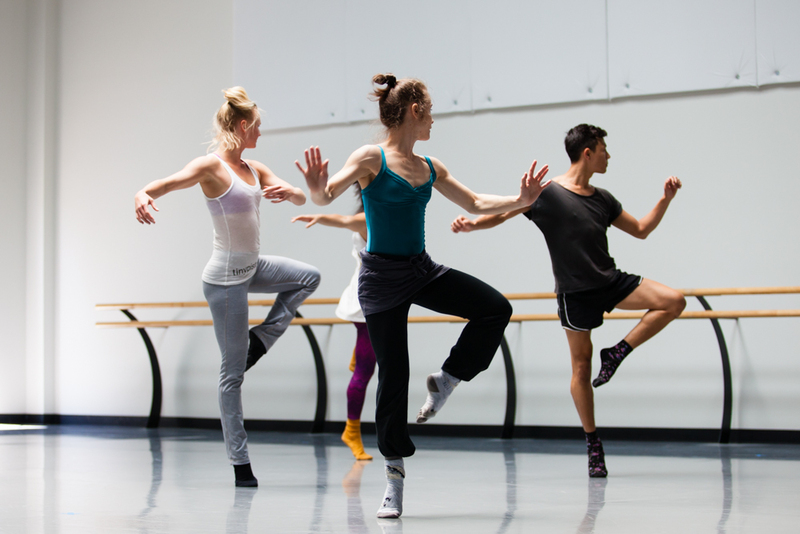 Most contemporary dancers in Seattle move from job to job, choreographer to choreographer. Whim W’Him company members are signed for a 31-week season for 2015-16; that’s second only to Pacific Northwest Ballet in terms of contract length. For Wevers, this season contract provides reliability and familiarity. He doesn’t create all the company’s dances, but when he is in the midst of choreographing a new work, he says having a known group of dancers is like having a home base. He compares it to the way other artists work. “When you’re a painter, you start with your own colors that you’ve used before. You know what to expect so you can already go further with your ideas,” he explains. Wevers knows what his dancers can handle; when to push and when to stop. He also trusts them enough to solicit their input. Hence, the latest addition to the Whim W'Him season: "Choreographic Shindig." The upcoming two-weekend show is the first Whim W’Him production to be curated by the dancers rather than Wevers. “Choreographic Shindig” features three new dances, by Joshua Peugh of Texas, San Francisco-based choreographer Maurya Kerr, and Ihsan Rustem, an award-winning dance maker now based in Zurich, Switzerland. But he says he always intended to make Whim W’Him a platform for collaboration with a range of artists. So Wevers was thrilled to be able to put out a call for interested choreographers. More than 95 submissions came in, from all over the world. Wevers provided guidance, but he says the dancers chose these three distinctly different artists. That’s exactly what he hoped they’d do. 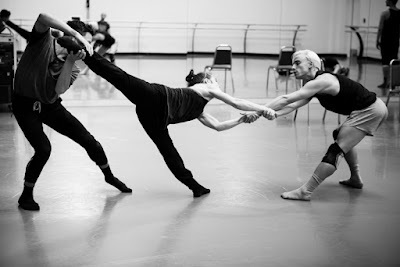 In addition to his work with Whim W'Him, Wevers travels a lot as a choreographer-for-hire. (His version of “A Midsummer Night’s Dream,” created for Grand Rapids Ballet, comes to Seattle in October). He also spends time in Monaco where his husband, the dancer Lucien Postelwaite, is based. Wevers sees a lot of different dance companies and dance styles. That’s part of what he wants to bring with him back to Seattle. Wevers also would love to find more opportunities for his dancers to tour regionally, but that's hard to balance with his desire to bring in more choreographers, and to provide season contracts for his dancers. At some point, the small but feisty company had to choose where to focus its energy; this year that choice was to add a third program to its performance schedule. As Whim W’Him prepares to launch its 6th season, Wevers reflects on his more than full-time job. Whim W’Him’s “Choreographic Shindig” runs Friday September 11th through Sunday the 13th and Wednesday September 16-Saturday the 19th at the Erickson Theatre on Seattle’s Capitol Hill. Very nice coverage, Marcie. Thanks.